The Fireray 5000 Auto Alignment Beam Detector range from Fire Fighting Enterprises (FFE) is a beam-type smoke detector which covers much larger areas with far fewer units than traditional ‘point’ type sensors, the company said. Its transmitter and receiver are housed in the same unit, with the beam being reflected off of a small, unobtrusive prism fixed onto an opposing wall, keeping the time, effort and expense of installation low. The beam can be fully adjusted, controlled and annually tested from the low-level system controller. 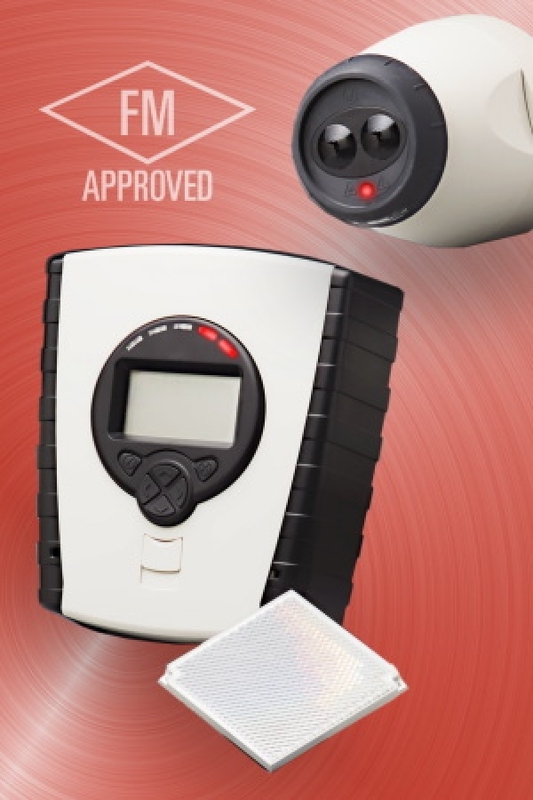 Its Automatic Gain Compensation monitors and reacts to environmental changes such as dust accumulation, while an Auto-Optimize feature automatically self corrects to ensure alignment of the infra-red beam with the reflective prism. The need for risky and time consuming re-alignment and maintenance from atop ladders or lifts is eliminated. The Fireray 5000 Multi Head System allows up to four beam detectors to be installed on one controller to further streamline set up.